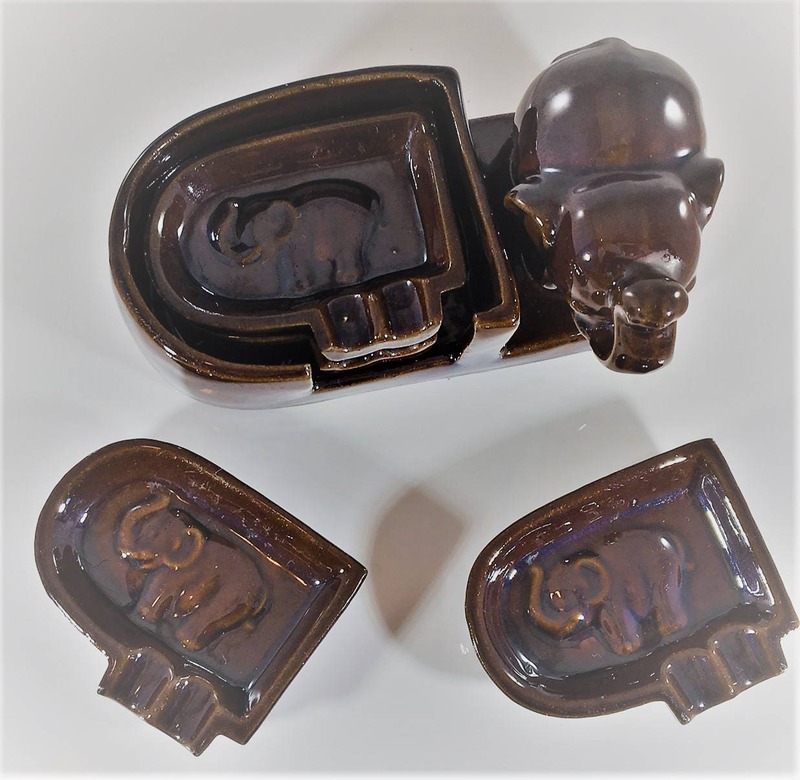 Featured is an antique little elephant ashtray holder that was made by Hadson in occupied Japan. Products imported from Japan between 1945-1952 were required to be labeled, and this piece has the "Made In Occupied Japan" statement on the bottom of the holder. The set is in excellent condition. The elephant has its trunk up if you happen to believe all of that about it meaning good luck. It measures 6" long by 2 1/2" high. 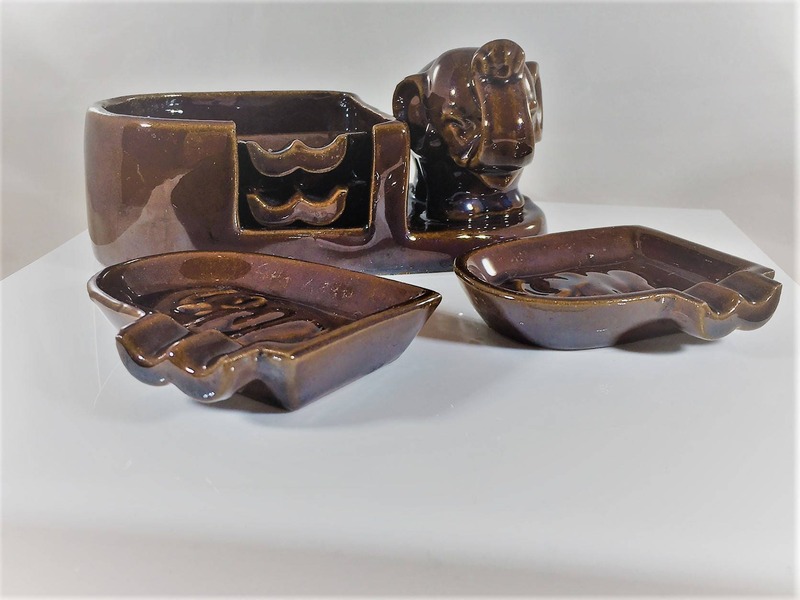 There are 4 little ashtrays that sit in the elephant holder base and they all have their trunks up as well. 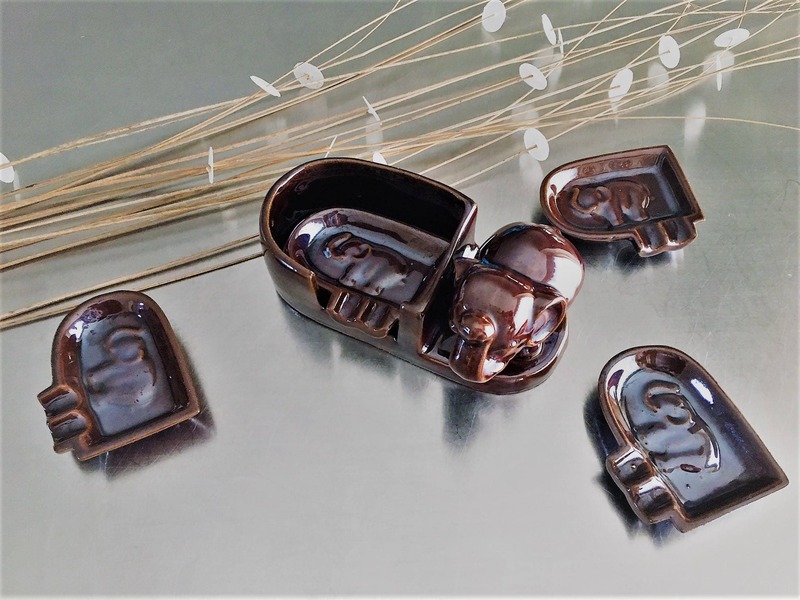 Each ashtray is in excellent condition. Underneath each small individual ashtray where the cigarette butts rest on the flip side reads "occupied Japan." Each ashtray is 3" long by 2 1/8" wide. 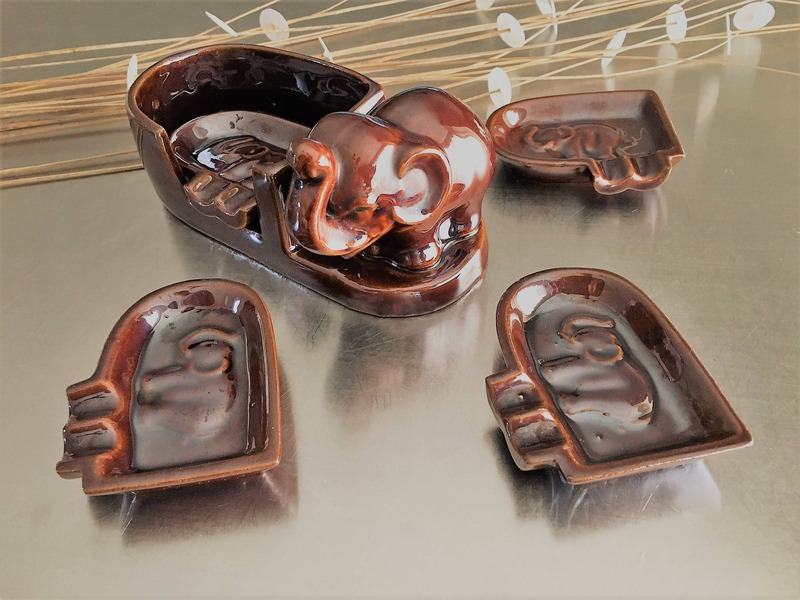 This is great gift idea for any elephant, smoking, ashtray or occupied japan collectors out there.